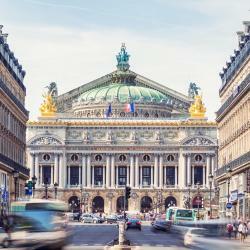 Looking for hotels near Nationale Metro Station? Jack's Hotel is located on Paris’s left bank, just 984 feet from Place d’Italie. It offers air-conditioned rooms with a modern décor, a 24-hour reception desk and free Wi-Fi. Set in 5th arrondissement of Paris in the latin district, between the Jardin des Plantes and the Noter Dame Cathedral, Hotel Monge offers air-conditioned rooms and free WiFi throughout the property. The staff was extremely accommodating and helpful. The citizenM Paris Gare de Lyon is set in the 12th district of Paris. 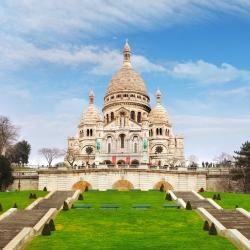 It offers breathtaking views of the Seine and is located near to Gare de Lyon train station. Very modern and convenient, staff were perfectly helpful and friendly, Great value for money. 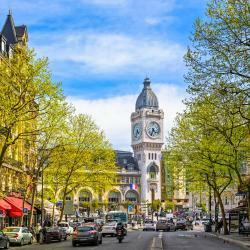 Located 984 feet from Gare de Lyon Train Station, ibis Paris Gare de Lyon Ledru Rollin is a 24-hour reception hotel with a snack bar and a bar that serves international drinks and beers. Everything. The garden, the new rooms, it's so well located. Hotel Qualys Mouffetard Apolonia is a small and cozy hotel with a home-like atmosphere. The street where the hotel is located has the feel of a small village within the city. There was a woman at the desk on the weekend who was most helpful. 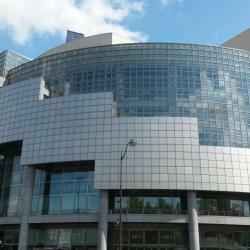 Hotels with great access to Nationale Metro Station! Serotel Lutèce is in Paris, a 10-minute walk from Jardin du Luxembourg. It offers air conditioned and soundproofed rooms, some feature a private balcony. The hotel was very good. The room was clean, classy, comfortable and spacious.